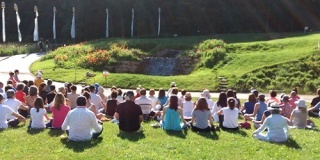 Lerab Ling has a myriad of events to offer to the public and Rigpa students from all over the world. You are encouraged to book as soon as you can, as our accommodation is limited. If you are inspired to stay longer you can extend your stay with a personal retreat. Khenchen Pema Sherab, one of the most erudite and highly respected khenpos from the Ngagyur Nyingma Institute of Namdroling Monastery, is exceptionally qualified to explain these teachings. 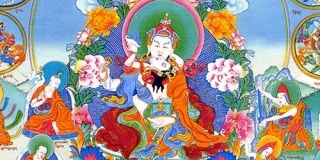 Jikmé Lingpa’s Yönten Dzö - The Treasury of Precious Qualities - is a famous treatise which presents and explains the entire Buddhist path up to and including Dzogpachenpo.